Streaming service DAZN has one of their biggest US events to date coming up with Saul “Canelo” Alvarez’s first of 11 fights on the service, and they’re pulling out all the stops to promote it. On Dec. 15, Canelo will face Rocky Fielding at Madison Square Garden for the WBA super middleweight championship, and DAZN has already debuted their first episodic original series around the event, The Journey: Canelo vs. Rocky. 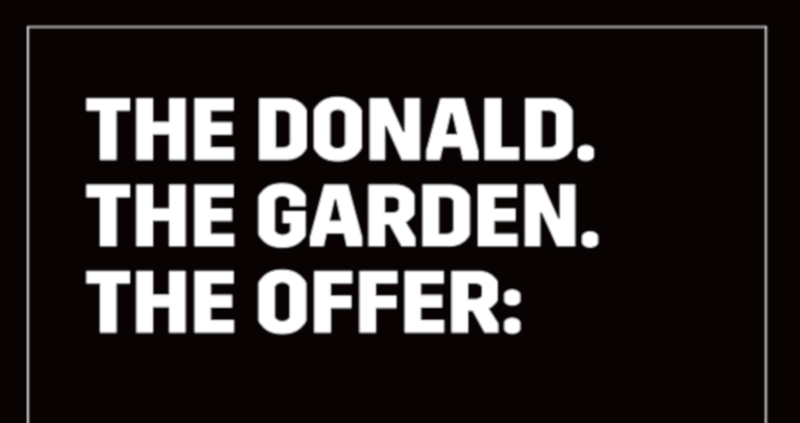 And now, they’ve made an attention-grabbing move, running a full-page ad in USA Today that’s billed as an open letter to U.S. president Donald Trump, offering him and newly-sworn-in Mexican president Andres Manuel López Obrador ringside seats to the fight. That’s quite the bold play. And much like the Ice Cube/BIG 3 full-page ad directed at Trump over that league’s dispute with Qatar, this is more about getting the public’s attention than Trump’s; it’s not even clear that the president reads USA Today. But it’s an interesting way to get some more media coverage ahead of the fight, and get this fight on more people’s radar. 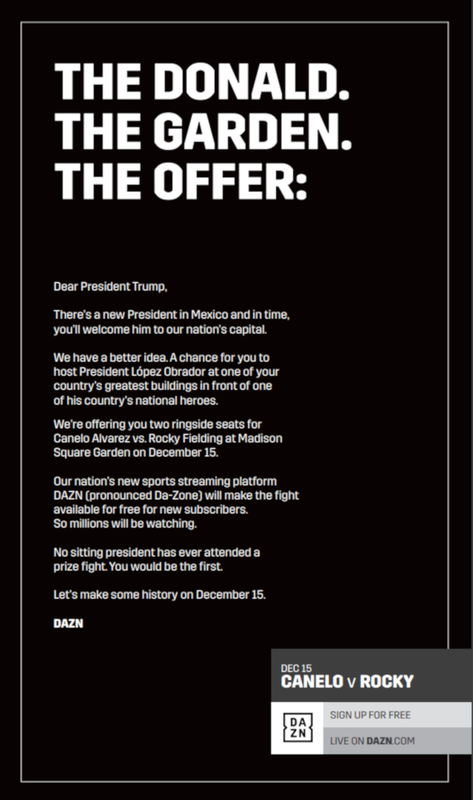 And if Trump did somehow decide to take them up on this offer, that would be an incredible attention boost for DAZN. That doesn’t seem terribly likely, but you never know, and at the very least, this is a creative way to get some more media coverage.